Whether it's to be used to soak filthy clothing, wash the family dog or as a place to scrub some large odd shaped item, a laundry tub (sometimes called a laundry tray), has no peer. 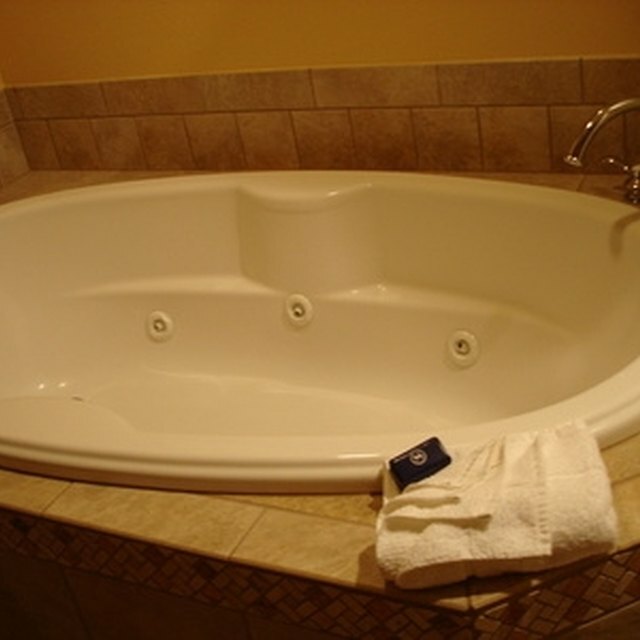 Once the water lines and drain pipe have been run, installing a laundry tub is an easy project that practically any homeowner can accomplish in a relatively short amount time and with a minimum of special tools. Many home improvement stores carry tub kits, PVC trap kits or PVC trap components. Attached the legs to the tub unit using whatever hardware the manufacturer provides. Install the faucet following the instructions in the kit. Assemble the PVC trap components and attach them to the drain hole in the laundry tub. Place the tub where it will be installed and attach the PVC tailpiece to the drain pipe. If the tailpiece requires cutting to shorten it, use the hacksaw to perform this task. Attach the flexible supply lines to the water lines. Wrap the threaded ends of the water lines with Teflon pipe tape to ensure a tight leak proof seal. Slowly turn on the water and test the water pipe to supply line and the supply line to faucet connections for leaks. Tighten the supply line connections if required. As water exits the tub, check the trap connections for leaks as well. Secure the tub legs to the floor using whatever hardware is provided in the kit. If none is included, consider using 2-inch stainless steel lag screws. Rich Finzer earned his boating license in 1960 and started his writing career in 1969. His writing has appeared in "Northern Breezes," "Southwinds," "Living Aboard," "Good Old Boat," "Latitudes & Attitudes," "Small Craft Advisor," "Life in the Finger Lakes," "BackHome" and "Dollar Stretcher" magazines. His maple syrup has won awards in competition. Rich has a Bachelor of Science in communications from Ithaca College. Where Does the Rubber Gasket Go in a Bathtub Drain?